I just want to tell you guys that i have had a lot of sketchbooks in my life, but none that can compare to this one. I found this on amazon for around $25. Now, you might think that is expensive for a sketchbook, but this one is huge. 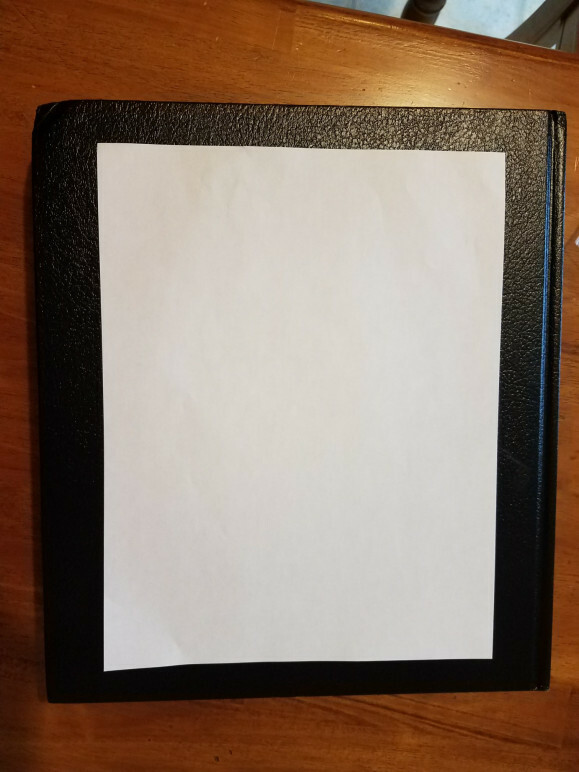 I added a picture below to show you just how big it is compared to a regular sheet of copy paper. There are 300 pages or 600 artistic opportunities using front and back. I happen to not like using front and back, so 300 sheets for me. 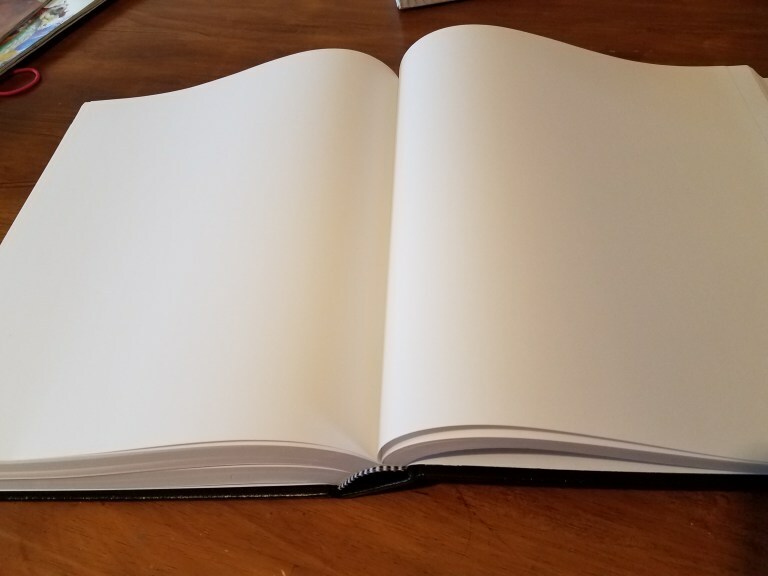 If you can see, when opening up the book in different places, it doesn’t lay completely flat, but will push flat if you chose one side or the other. Ultimately, the pages are pretty thick and I think this adventure will be awesome! My goal is to finish this sketchbook this year. I hope to maybe even do a new sketchbook yearly. I did two last year but they were a lot smaller. I started this sketchbook with my, “This journal belongs to” page, as shown below. While completing this page, I had no problems with the book at all. 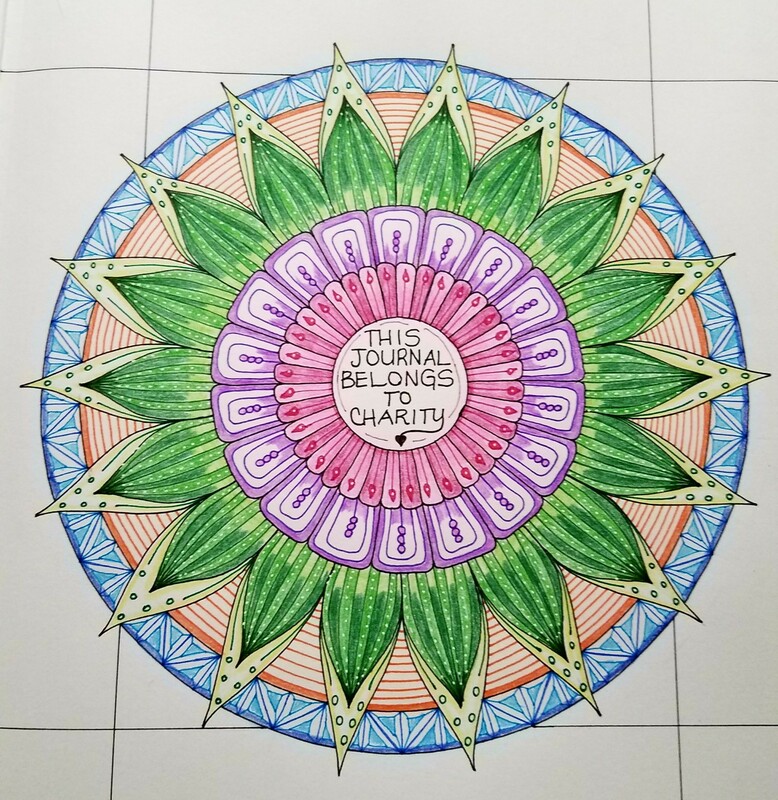 I used some fine tip colored pens and color pencils to complete this page. I am finding that I am getting a little more comfortable with using color, I just need to experiment more. Tell me what you think about this first page or suggestions you might have to include.